Being at Wembley Stadium to watch my team in a cup final as an 11 year old was very very special. In 1972 the FA Trophy competition was in its infancy having been born two years previously. It was basically a revamp of the old FA Amateur Cup and Barnet had made the semi final in its first season narrowly loosing out to Macclesfield Town in the semi final stage but the run up to the final was I have to say graced with some of the finest football ever seen at Underhill. 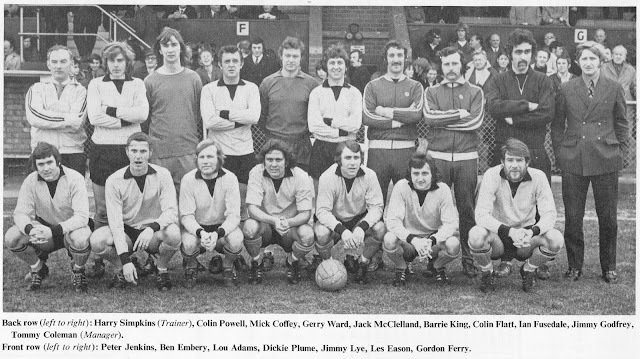 We lost of course to Stafford Rangers, frankly not turning up on the day as all the players freely admitted then and even now. Barnet eventually finished 4th in the Southern League Premier and the question has also been in my head for all these years.....had we been knocked out in the early stages of the Trophy would we have won the League? I think we would. However would I then swop that for a day at Wembley? No. What is even more fascinating is that the season was completed with a first team squad of just 15 regular players!